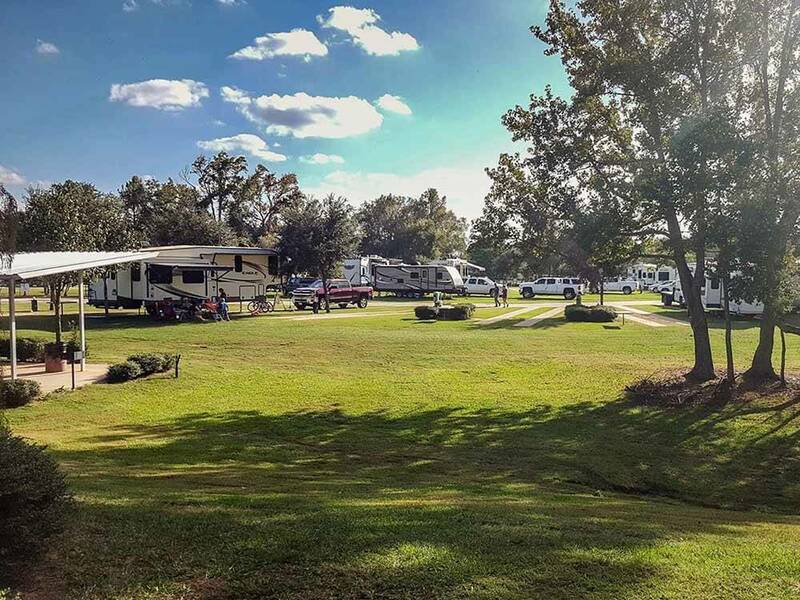 97 site Top Rated RV Park with unique indoor swimming pool and hot tub. KE Bushman's Event Center is next door. Make your visit a memorable one by visiting the Kiepersol Winery, Distillery and Restaurant. Excellent park, clean and tidy. I really like the fact that there weren't any permanent residents at the park. You could really understand that they were meticulous when it came to the park up keep. One item however kept me from giving them a 5 star rating was the music noise coming from their event facility. The night we stayed there they were playing the music so loud that the bass sounds penetrated the building walls and our trailer where we could actually "Feel" the bass. This was very disturbing. The country setting is very nice. I lived here Full Time for about a year and a half. I enjoyed my time here the residents are very nice. The facilities used to be dirty all the time but seemed to have improved within the last year. The staff helpfulness and friendliness can be good one day and bad the next. It's one of those things that you encounter immediately upon checkin but the longer you stay the better the attitudes seem to get. Their only problem, as I see it is a grounds keeper that seems to hate residents. He is super unfriendly. He does a great job but can be a bit of a rough sort. I had an issue were he accidentally tore the awning off of my unit with the lawn tractor. ( Let me stress their insurance fixed it) but it took about 3 months. Would we stay there again. Absolutely...but it would not be our first choice. OK, the resort is beautiful! its grounds keeper is awesome! Swimming pond? No way!! It is shared with livestock, turtles, snakes, etc... I don't Believe it should be called that. Sorry. The pool and hot tub are nice, not used much by the perms though, not sure why that is.... and there are quite a few perms. Although the restrooms were built beautifully, throughout our stay (April 10-May 11) they were rarely cleaned. I do mean rarely. Again, Sorry, The sites are nice, but the dirty restrooms and office personnel do not justify "resort" dollars to me. We will not be back.